Recently, while you have been browsing websites pertaining to various interests – whether it’s the latest trending garment, the newest diet and why it’s so much better than the others, or enjoying an infinite barrage of cat images – you may have noticed a very strong trend: websites are becoming simpler. From the beginning of the Internet to date, you have probably noticed that websites have fewer and fewer items. You will no longer find custom pointers for your mouse or animated banner arrays on your favorite websites. Do you ever wonder why this is happening? Well, I’ll tell you. Website designers and UI / UX experts concluded that reading walls of text is not all that particularly interesting. They concluded that in reducing long text blocks, the chances of the people visiting the site withdrawing immediately are also significantly reduced. I know what you are thinking, no more walls of texts? The answer to this question is that, in the early stages of the World Wide Web, it was very difficult to include anything that was not a text message on a website, due to our bad connection. Oh yes…the days of dial-up and 56kbps. Over time, Internet connections have improved considerably. It is now possible to load other elements, such as images, gifs, sound, video, graphics, and so on. However, that does not necessarily mean that we should include all of the above. Through trial and error, we have discarded the elements that only serve to saturate a website. In fact, modern browsers such as Chrome, Safari and their cousin that nobody likes, Edge, have started to “block” certain elements. For example, if you wanted to use videos or sound when someone visits your website. Would you like to receive your audience with the best of welcomes, perhaps, with the soundtrack of Game of Thrones? Well, you can’t. If your browser detects audio or video..guess what? It won’t play automatically. This has been implemented, given the abuse of the feature over previous years. That brings us to the modern era of website development. Less is more. If you’re a Google fan, you may have noticed that web applications and mobile apps have become more and more simple. Where there could be icons with several colors, now they are one or two colors at most. In the beginning, they had very detailed shadows and brightness, now they only have shadows that are necessary. Not only that, but several sites have decreased color. Today is black and white. The “light” and “dark” theme predominates. Why does that happen? Because, the fewer elements a website has, the less a person will have to assimilate, so it will be easier to find exactly what you are looking for. Now, why has our color palette been limited to just a handful of colors? This also follows the principle of grouping. That is, imagine if you visit your favorite website and start to see red, green, blue, yellow, black, white and others colors not only in the buttons, but in the fonts, titles, scroll bars, links, and so on; this makes it very difficult to navigate for you. Maybe you can get used to it but it will take time. If you define that all of your buttons are red and yellow; all of your texts are the same color, as well as their titles; without reading, immediately the user will almost automatically know what is what. It will make the browsing experience much easier. And going back to the “light” and “dark” theme, if you use one color for the background, it will make everything else stand out, instead of four color variations for each section. There are optimal ways to manage all this. 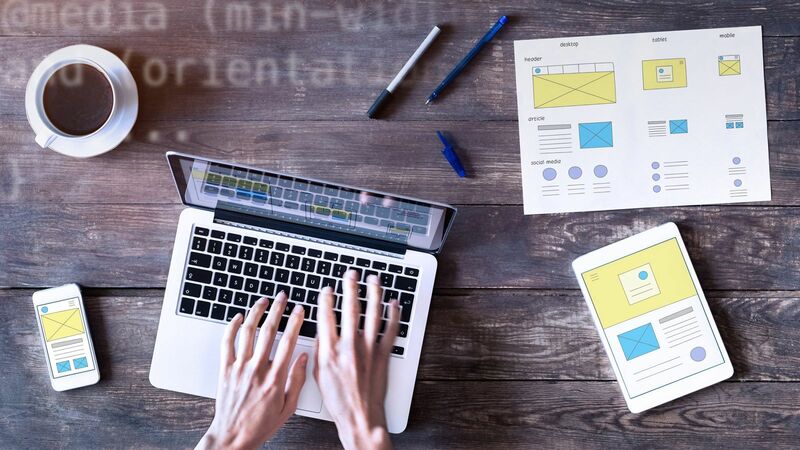 Graphic elements such as images, SVGs, and PNGs that represent text will make it much easier to digest what you offer to the person who visits your website. The use of keywords will convince the person that you are right for their needs. In conclusion, adopting a simple design will make it much easier for the message to reach your customers. Removing unnecessary clutter from your site will create a cleaner user experience. Here at Mijo! Brands we specialize in creating and simplifying websites to create the ultimate user experience. We make sure your clients realize that you are the perfect choice when it comes to their needs. Get in touch with us today to learn about how we can help you take your website to the next level. 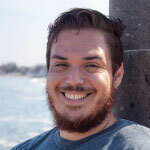 Erik Torres is Fullstack Developer with Mijo! Brands, creative agency specializing in digital marketing with presence in Mexico City, Guadalajara and Puerto Vallarta. Erik is a daytime web developer and nighttime opponent in the Night Summoner’s Crevice. When he’s not out destroying newbs or setting his team members on fire during League of Legends games, you’ll find him making the world a better place one code at a time. He considers the web development as a modern art, where each pixel fulfills its own purpose, and professes a deep love for beautifully designed APIs. For this reason he strives to make back ends as legible and clean as possible from the understanding that the variables and objects are weapons massive construction when in the right hands. Subscribe to our newsletter and stay up date with what Erik and us other Mijos! have to say.